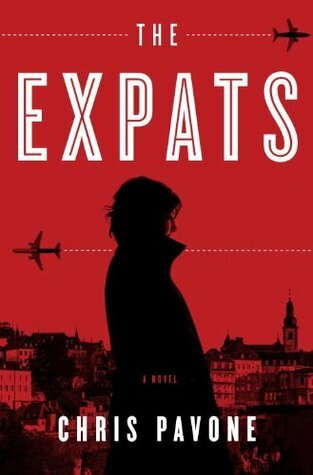 I haven’t posted a book review here in awhile, so this seemed like a good one to catch up with. A couple of months ago the local chapter of the PA Nonbelievers gave me a free copy of Dan Barker‘s Godless at the meeting I went to. I gratefully took it home and once the Christmas season was over, I pulled it out and read it. There are many different types of atheists, ranging from the insincere to the fully committed. Dan Barker is one of those who I think has the most credibility when they discuss their atheism. I wouldn’t necessarily go to him for a lesson in biology (though far better him than, say, Ben Stein) but on the issue of religion, and in particular theism and Christianity, he has my undivided attention. The reason is that for much of his childhood and early adult life, he was a full blown evangelical proselytizing Christian. He was a Christian preacher and missionary, and was educated at some of the more respected (by Christians) educational facilities in the country. He lived his Christianity, and knew his Bible inside and out. He was, and is, a smart man. And a musician and composer to boot. As you would expect from the title of the book, he became godless. He realized that the very concept of god, much less god itself, was an irrational, nonsensical notion, based on contrived, yet ignorant explanations of nature, ones not worthy of belief, not worth basing one’s whole life around. Godless is broken up into multiple parts. The first is autobiographical. It relates how Dan went from proselytizing preacher to ardent atheist; sort of the “getting to know Dan” section. It’s not superfluous, because for the rest of the book, he relates much of his understanding of atheism in terms of what he learned, what he taught, how he changed his views from that of a Christian, and how people in his life reacted to him. The autobiographical section is used as a vehicle to explain godlessness. The next part of the book is an explanation of exactly why he is an atheist (titled, unsurprisingly “Why I Am An Atheist”). In one chapter, he reviews all of the significant refutations of atheism thrown at him, and throws them back like limp, washed out rags. The reader can tell he’s put a lot of thought into these discussions, and his logic, like that of most rationalists, is hard to beat. No. I’m sorry. It’s impossible to beat. The third section is the meat of the book, the one that shows conclusively why Christianity is not a sustainable worldview, much less a religion. Much of the discussion centers on the Bible, and Barker knows his Bible. I was inspired to write a few posts of my own on the subject, which were triggered by the Barker book as I read it. In short, the Bible is an old book and nothing more. It was written by well meaning yet relatively ignorant people thousands of years ago. We have come so far as a species, yet we cling to the outdated, superstitious notions of a goat-herding society from a small speck of dust in the Middle East. It’s so obsolete, it’s mind boggling. The book concludes with a short section on how his deconversion has affected his life. He’s involved in The Freedom From Religion Foundation, one of the most active and effective freethinking organizations in the country. He is married to Annie Laurie Gaylor, one of the founders of the the FFRF, which organization has taken free-thought and atheism and helped to make it more acceptable in a country where it has always been thought of as the cultural equivalent of B.O. (with religion the antiperspirant, I guess – jeez, that was a terrible metaphor). There’s still a lot of work to do, but this book goes a long way in helping the reader feel optimistic about the future. It works on a couple of different levels. On the one level, it’s a memoir, a deconversion story, and we all know how well deconversion stories work in helping people who might be on the fence, experiencing their own doubts about religion, identify with what Barker went through, and in the process, find the same or a similar path to atheism. So, I can’t recommend it highly enough. It’s in paperback and there are links to both Amazon and Barnes & Noble in this review, or patronize your local independent bookstore. Oh. And don’t get it mixed up with the Ann Coulter book by the same name. There’s no comparison. 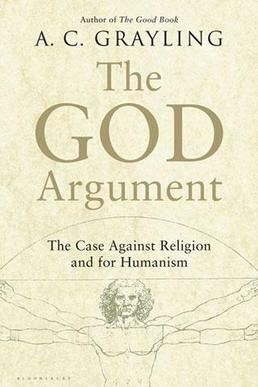 This entry was posted in Apologetics, Atheism, Beliefs, Book Review, Books, Christianity, Church and State, Critical thinking, Faithfreeism, Freethought, god, Humanism, Non-Theistic, Rationalism, reality, Reason, Religion, Science, Theism, Theology, Truth and tagged apologetics, Atheism, Beliefs, Ben Stein, Bible, Book Review, Books, Christian, Christianity, creationism, Dan Barker, Faithfreeism, god, Humanism, Middle East, Reading, Reason, Religion, Theism. Bookmark the permalink. …the FFRF, which organization has taken free-thought and atheism and helped to make it more acceptable in a country where it has always been thought of as the cultural equivalent of B.O. (with religion the antiperspirant, I guess – jeez, that was a terrible metaphor). A small quibble. I’m not sure Americans have always viewed atheism quite as unfavorably as they allegedly do now. After all, several of the early presidents and founding fathers were deists or agnostics. On the other hand, their public comments on religion, Christianity in particular, were often carefully parsed, so they seem to have spoken cautiously, when necessary, in order to retain public respectability. Robert G. Ingersoll became very wealthy on the public lecture circuit in the last quarter of the 19th century. His political influence was great enough that he frequently helped Republican candidates win elections. On the other hand (I know, I’m up to 3 hands now – I promise this is the last one), he knew his outspokenness about agnosticism would prevent him from ever winning a major public office himself. He had political ambitions in his younger days, but he acknowledged that they would never be realized because of his public positions on religion. I guess the upshot of all this is that atheism may have been at least marginally acceptable in previous eras. Even so, there definitely were limits to that acceptance. As for the present age, I’m not convinced that atheism is as marginalized now as people with vested interests say it is. I know polls say that atheists are the least liked group in the USA, but I don’t put much stock in opinion polls. People have been known to answer poll questions expediently rather than honestly – they say what they think people want to hear rather than what they really want to say. And I don’t accept the word of religious organizations, pollsters, etc., on anything without outside corroboration. I’ve been on the inside and know firsthand how religious propaganda works. It seems to me that most people are just living their lives; they don’t give a damn what others do and believe as long as those beliefs and behaviors don’t affect them personally. So, I think the B.O. metaphor may have been stronger than necessary. Besides, one person’s B.O. is another’s perfume. As for the present age, I’m not convinced that atheism is as marginalized now as people with vested interests say it is. I know polls say that atheists are the least liked group in the USA, but I don’t put much stock in opinion polls. Well, even that poll that said we were at the bottom of the list of people they would let marry their daughter, still had us at around, IIRC, 45%. That means that 45% had no problem with their daughter’s marrying atheists. That’s not a small margin. The difference between back then and now would be twofold. One, the lack of modern communications. We all know how just about everyone stands on issues like “belief in Christianity”. I imagine that maple farmers in Vermont had very little idea how Thomas Jefferson really felt about religion. Two, there was a general complacency brought on by the widely held (and mostly correct) notion that we were indeed “a Christian nation”. Today there is a sense of desperation in the INSISTENCE that we are a Christian nation, and the dislike of all non-believers becomes much more visceral, as they witness this notion crumbling all around them. I imagine you could come up with a few other reasons for the difference between then and now, but I think these would be valid entries. I think I understand what you MEAN by this – that it can’t be sustained under the intense scrutiny of reason, logic and rational thinking. However, it has been and continues to be “sustainable” on some level. That’s why we are still a minority voice in America. It’s nice to know that in Sweden only 18% of people claim that religion is an important part of their daily lives. But this ain’t Northern Europe. States in the Northeast and Northwest (I have no idea what that indicates) are the lowest in this report for America, but they still hover around 50%. Then you have the Bible Belt states where the average is closer to 80%, and that is, obviously, mostly Christian belief. So, it’s sustaining itself quite nicely. The difference between back then and now would be twofold. One, the lack of modern communications…. Two, there was a general complacency brought on by the widely held (and mostly correct) notion that we were indeed “a Christian nation”. Lack of modern communications may not have meant much in an era in which the franchise was limited to white male property owners. A lot of people who were out of the communications loop wouldn’t have been voting anyway. Nevertheless, guys like Jefferson and Adams said a lot of things in private letters that they never said in public; that probably had a lot to do with your second point: a lot of voters claimed to be Christians. Ingersoll was a victim of an implicit “understanding” of an informal Christian nationhood, which is why he didn’t run for public office as he’d once aspired to do. Nowadays, a lot of jackasses are trying to formalize that status. I agree that atheism has always been somewhat marginalized in the USA. I just wonder if most of the squawking we hear these days isn’t coming from a vocal minority, while the quieter majority could care less one way or the other. The apathy of many can be a useful tool for the few who care enough to be loud, proud and active. Thanks for the book review, SI. I wonder how fundies feel when they lose one of their own to the “dark side”. I’ve been reading a biography of Thomas Paine with a section on religion. What’s interesting is that his discussion, and criticisms, of religion were not considered remotely radical in the age. At least in the intellectual camp. However, most thought that the “inferior” minds needed religion. The biography is by Craig Nelson and you might want to pick it up, if only for that section. “As president, Adams signed the 1797 Treaty of Peace and Friendship between the United States of American and the Bey and Subjects of Tripoli, or Barbary, unanimously ratified by the Senate after negotiations by Paine’s friend Barlow, which included the statement ‘As the government of the United States of America is not in any sense founded on the Christian religion… it is declared by the parties that no pretext arising from religious opinions shall ever produce an interruption of the harmony existing between the two countries. '” (p. 264-265). In any case, I have to be an optimist and think that most intelligent people (even some I know that aren’t that intelligent) regard religion as irrational and baseless. Unfortunately, that increasingly smaller faction still holds a great deal of political influence. “The Age of Reason” is a great book to recommend to Christians when you get into a debate and the issue of the United States being a “Christian nation” is mentioned. It serves a dual purpose, by showing that certainly not all of the Founders were Christians and in making some wonderful arguments against any sort of literal reading of the bible. One thing I think would be great to do is buy Age of Reason in bulk and whenever you stay in a hotel or motel, leave one in the night table drawer next to the Gideon Bible. Nice. Actually, they are pretty inexpensive. I imagine bulk would be really low. Wasn’t Jefferson slandered as being a filthy atheist during the election between him and Adams? I have to wonder if such ads didn’t have the reach ads of today have, or did early Americans have an easier time getting past someone being a filthy atheist? The election of 1800 was the culmination of a heated, dirty campaign on both sides. Jefferson took some hard hits election because of Adams’ campaign rhetoric, including accusations of atheism. Adams took some hits because he had endorsed the unconstitutional and highly unpopular Alien and Sedition Acts. As far as I can tell, Jefferson won the election because he smeared Adams more effectively than Adams smeared him. It was probably more a matter of people being duped than being more tolerant of atheism than today’s voters are. Having said that, the evangelicalism and fundamentalism that we’re familiar with didn’t really come into their own until the mid-19th and early 20th centuries. The religious climate in 1800 was significantly different than it is today – which is another argument against current fundogelical claims that the founding fathers intended to establish a “Christian Nation” that conforms to current fundogelical visions. The founding fathers, and even the peons (the bulk of the populace), did not have anything close to the same concept of Christianity as fundies do today. As far as I can tell, Jefferson won the election because he smeared Adams more effectively than Adams smeared him. One reason why you should never listen to a politician in the heat of a campaign. I know you two already know this, but for anyone else out there reading this, Jefferson and Adams ended up being great friends after they left political office (sort of like Bush I and Clinton?). They continued to correspond until the end of their respective lives, which actually occurred simultaneously on July 4, 1826, exactly 50 years to the day after the Declaration was signed. And John Adams last words before he died were, “Thomas Jefferson survives.” He didn’t know that Jefferson had died a few hours earlier. I read this book about 6 -9 months ago. When, in the biographical part of the book, he was revealing to his Xian “friends” that he was no longer a beliver, I almost cried, because I new that he was going to lose all of his friends. That had to be hard. Maybe that is why so many stay believeing. I don’t think they would snicker. My experience is that they would take it very seriously, nod sagely, and declare – “This proves it. Atheism is a religion. The view of the atheist is precisely equivalent to our view. We go to heaven, they don’t. Sorry for the poor unbeliever who has faith that god doesn’t exist”. It’s not an argument I have ever used, even mockingly. I’d much rather mock the very notion of faith. It is not a virtue. Period. I concur. They lack a sense of humor when it comes to their belief, and sarcasm goes right over their heads anyway. Dan should know that. Nice comments you’ve got going here. You’ve inspired me to put the Age of Reason on my reading list. If you really want to get a taste for Dan Barker’s brilliance, you should see/hear him debate. He loves a good intellectual sparring with Christian apologists. Here’s a transcript of a debate he did on a Christian radio show: http://www.flamewarrior.com/barker_interview.htm. It’s long, but if you’re not sure about whether or not to get the book, this should give you a taste of what this man can do with the Bible. Also, The Freedom From Religion Foundation does some terrific work. Definitely check out their website, they have a lot of lawsuits going at any given time and they do billboard campaigns. It’s so refreshing to see those billboards in the South, amidst a sea of billboards telling me that fetuses are crying and that God is watching me and seeing “Jesus loves you” painted on the side of every fifth parked big rig on the interstate. BTW, I work for the publisher.